These would be great to take along with you when traveling, take to a party, or just to give to a friend. They are so cute and portable. No worries of spilling. Only 7 ingredients needed, and this included the jelly jars. You can garnish the tops with blueberries, strawberries, or another fruit. 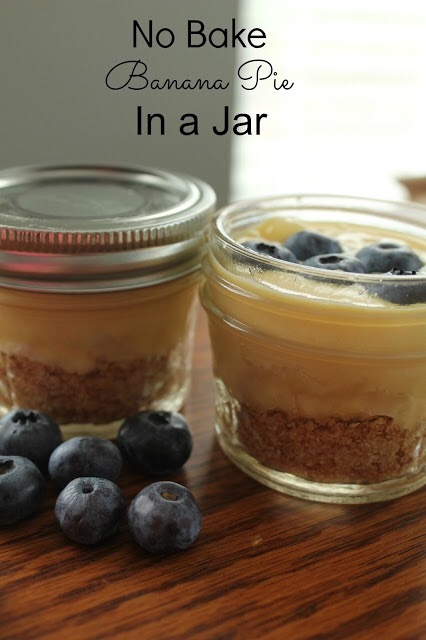 Find the recipe for this easy No Baked Banana Pie in a jar at “Our Good Life“. Do you have any yummy recipes in a jar?